Sustainability means a world to us and we’re here to make it happen. Our mission is to improve your everyday urban mobility. 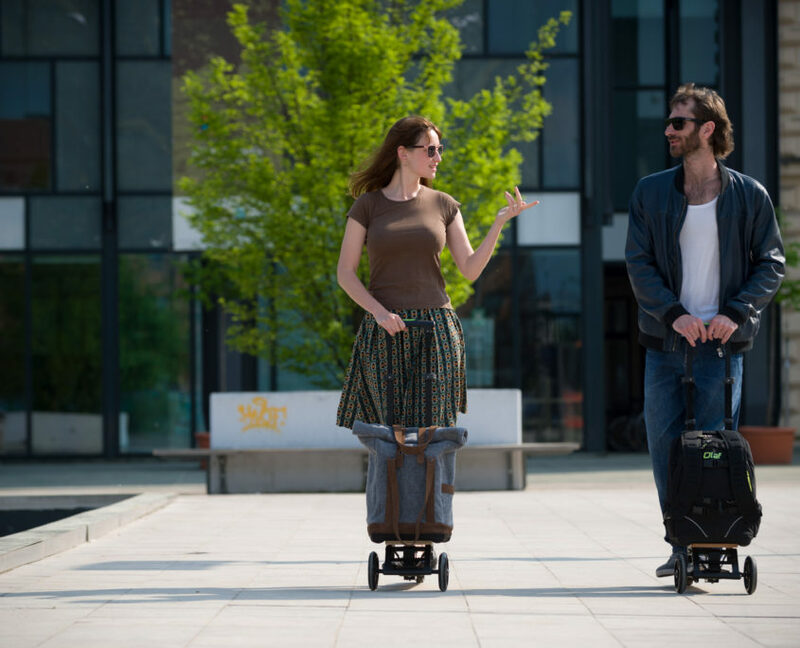 Therefore we designed state of the art kick scooter for your commuting – Olaf Urban. And included it in our Instagram giveaway! Finally, hurry up! We will pick a winner on Saturday, August 4th and mention his or her username among comments of the original giveaway post on Instagram. Rules are simple and number of entries per person is not limited. 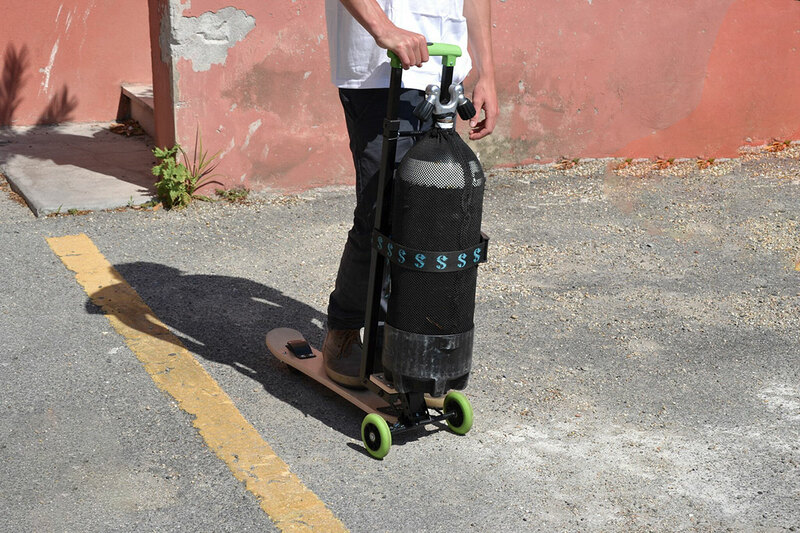 The more you post, better the chances of winning our state of the art urban kick scooter. Oh no, my Instagram profile is private! Thanks everyone for participating. We have recieved more than 100 entries, private and public. And here’s the winner of Olaf Urban! http://www.olaf-scooter.com/wp-content/uploads/2018/07/olaf-urban.jpg 3280 4928 OLAF Scooter http://www.olaf-scooter.com/wp-content/uploads/2015/08/logo.png OLAF Scooter2018-07-25 07:08:262018-08-07 10:10:07Giveaway: Win Olaf kick scooter and upgrade your urban lifestyle! 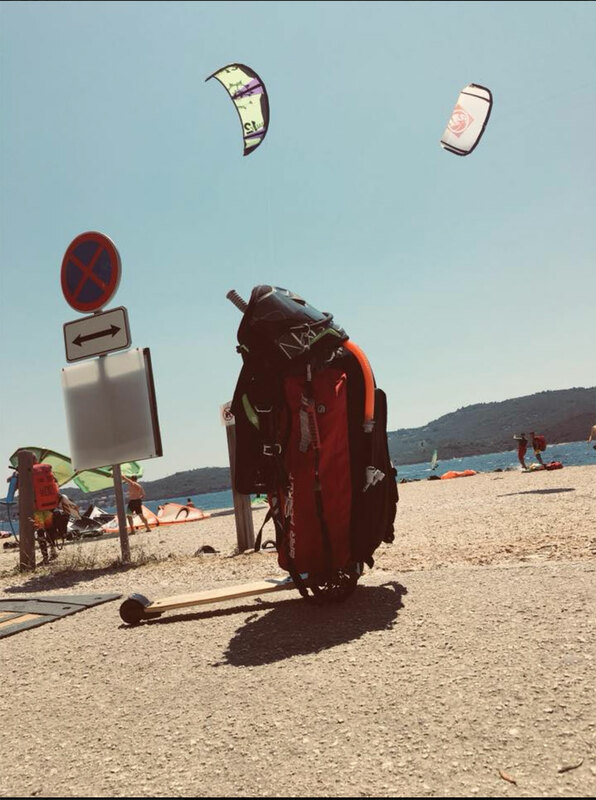 We want to become global trendsetters for unique, niche luggage/backpack/cargo scooters resulting in true SOS (Saving Our Streets) campaign. We truly believe in that. 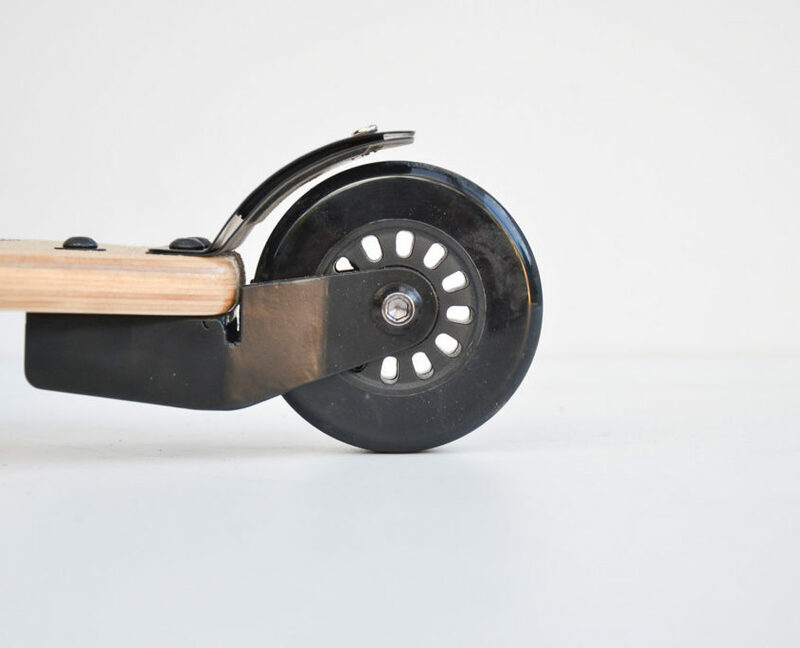 By combining design thinking from first sketches to the sample off production with our strongest awardwinning development background that allowed use to use materials and concepts that were never used in scooter and luggage sector yet. All that blended within both OLAF, but that is just a start. After several thousands OLAFs kicking globally, we paused our sales for a year, collect all ideas from our fans, went back to the drawing board and completely redesign our fleet. 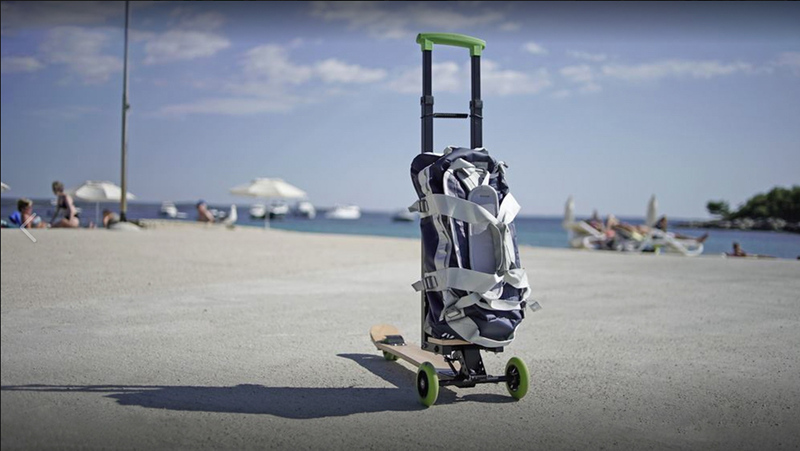 After 5 years, we still fell strong about our main concept of foldable, luggage/backpack/cargo scooters so we kept the concept. However, no single tech or design detail was kept the same. 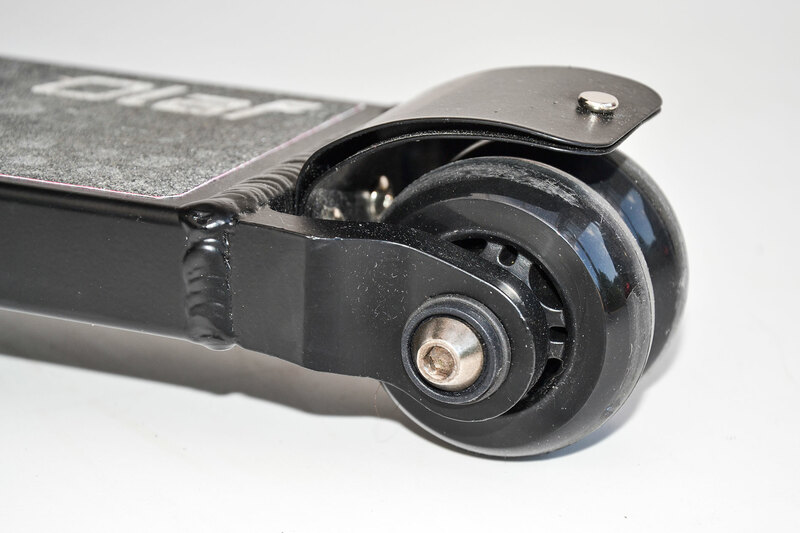 Both, Urban and Business scooters consist of more than 150 parts and not a single part was kept same with previous models. We listen to our fans, to their problems, suggestions, always. Thus, our constant is change, improvement. 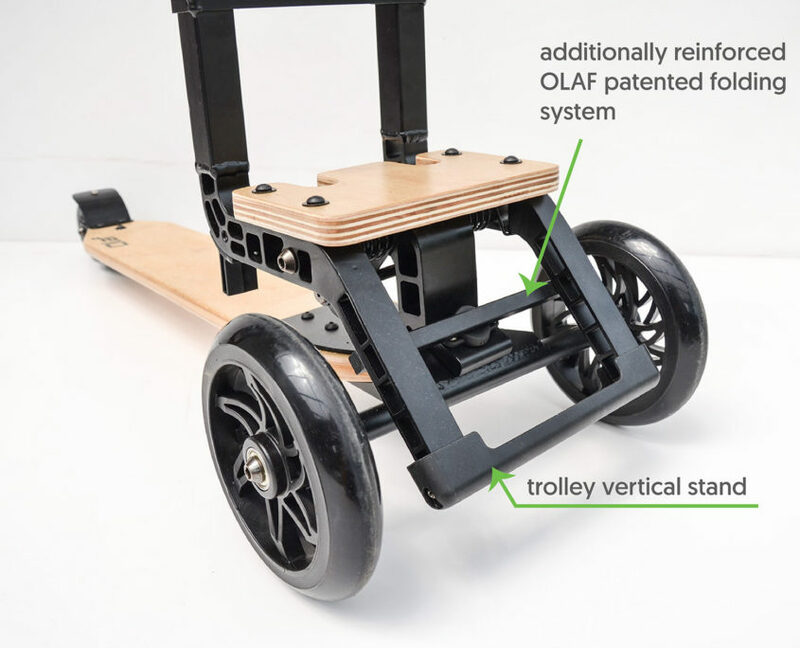 Mid last year, we have realized that current OLAF chassis just could not be improved any more as we wanted. Although scooters were OK and selling great, we already had first designs of 2018 model generation ready in our heads. Having those ideas, we did what no profit orientated should do. We completely stopped sales with our warehouse full of 2017 chassis. 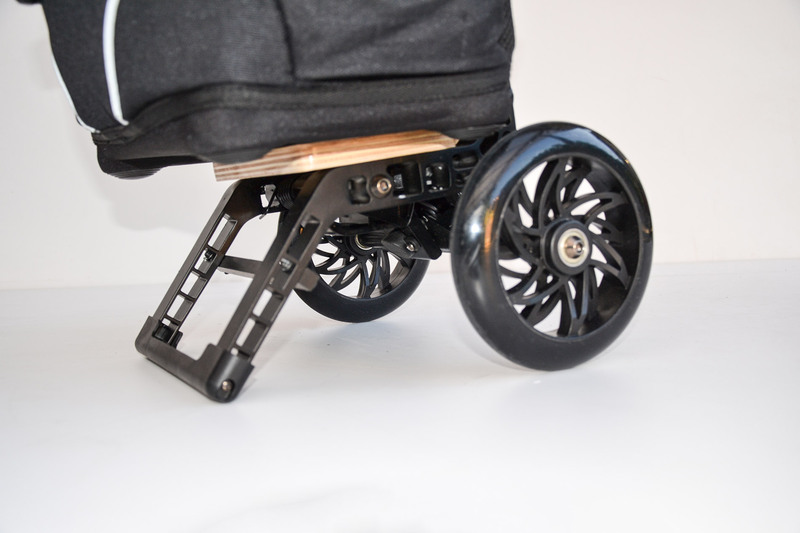 We did that since we already knew that product was not our best what we can do, not the one we wanted our kids to ride, not the one we can say – this is our best! 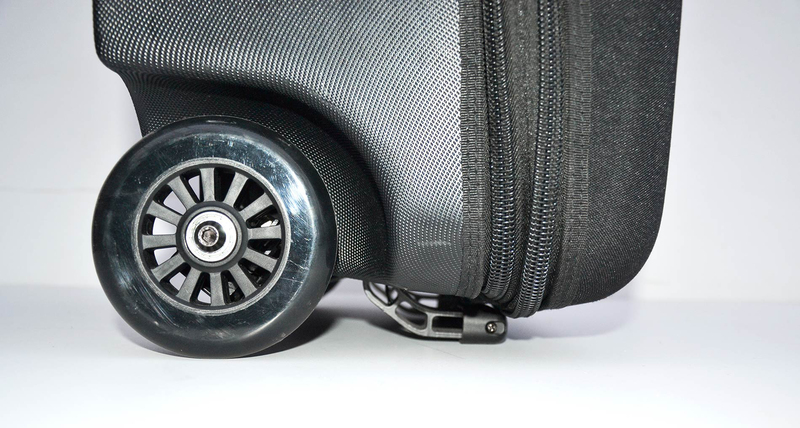 Having our chassis made in aluminum, cases in plastic and textile, the only parts we cannot truly recycle are wheels (PU material). As you know we had several production/transport/price problems in the past. From being late with first Kickstarter deliveries, no stock, not being able to reach B2B market due to high production prices etc. We learned our lesson the hard way; by completely stopping all sales activates we were able to concentrate on the product first. After development was done, we passed most complex certification for scooters (not just luggage certification). After demo start production, additional testing, we are now already in production phase building our stock. This time we wanted to keep our promises regards deadline, also due to shipping problems we had in the past. That why we will have stock in Europe, Asia and US in order we keep transport costs low & deliveries short. 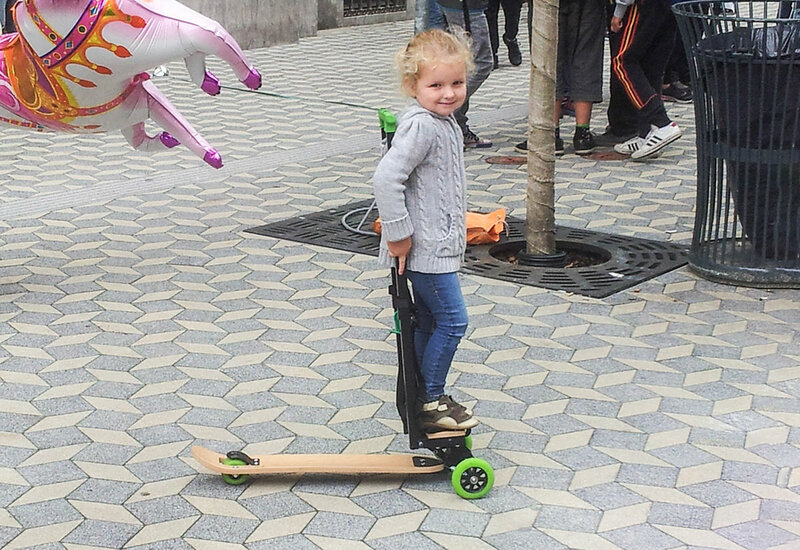 http://www.olaf-scooter.com/wp-content/uploads/2015/08/logo.png 0 0 OLAF Scooter http://www.olaf-scooter.com/wp-content/uploads/2015/08/logo.png OLAF Scooter2018-06-07 21:05:042019-04-12 12:06:09OLAF 2018 - finally here!!! 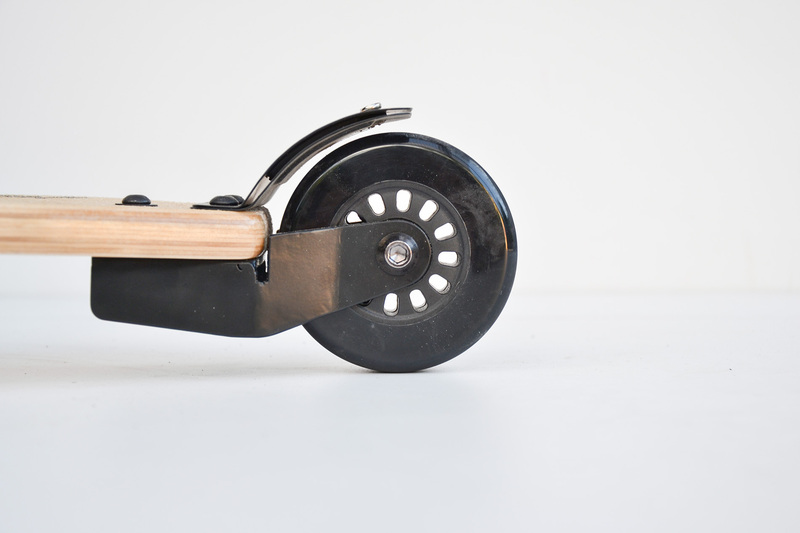 We modified complete chassis structure, invested in new tools and processing technologies in order we can make best possible foldable scooter chassis possible. And we did it. Although all main chassis component stayed in aluminum, we have chosen aircraft aluminum alloy quality this time. We still love wood. 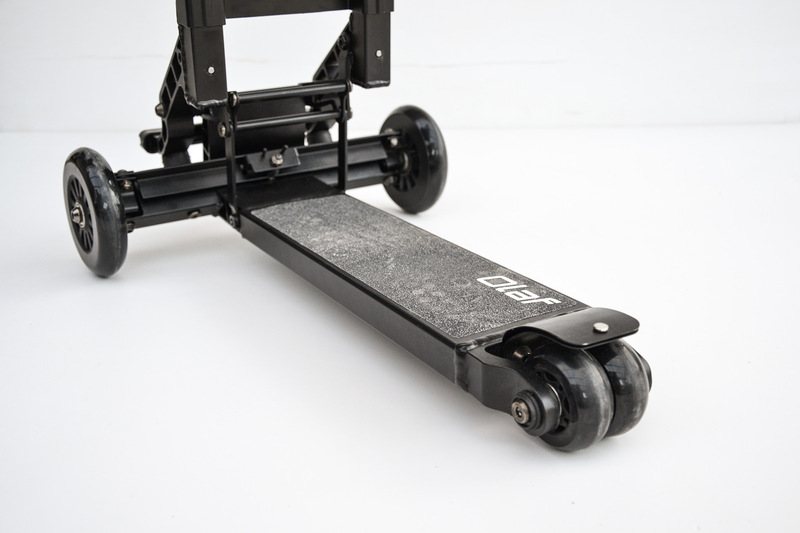 We redesigned the main board at rear wheel section and apply antiskid surface on complete top surface of main board. 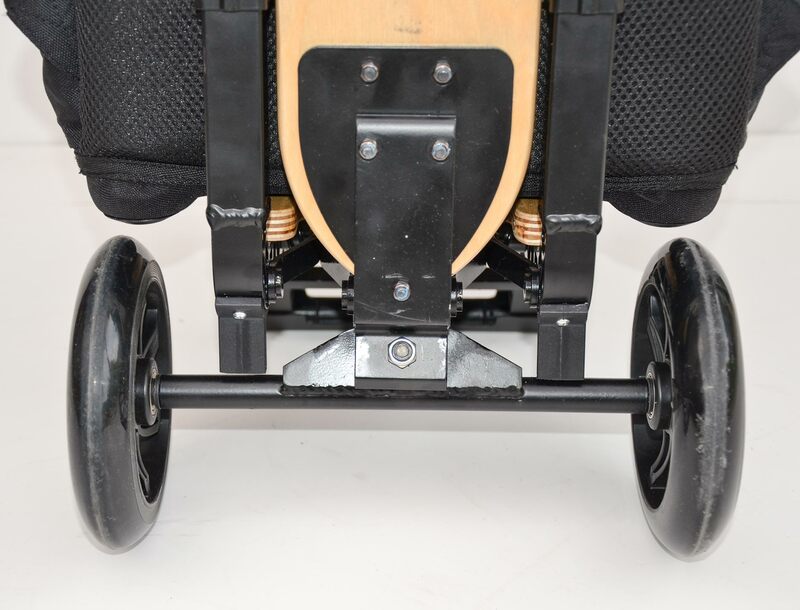 When Urban gets in trolley mode, wooden board is locked and secured with new developed locking system that holds board safely in place. 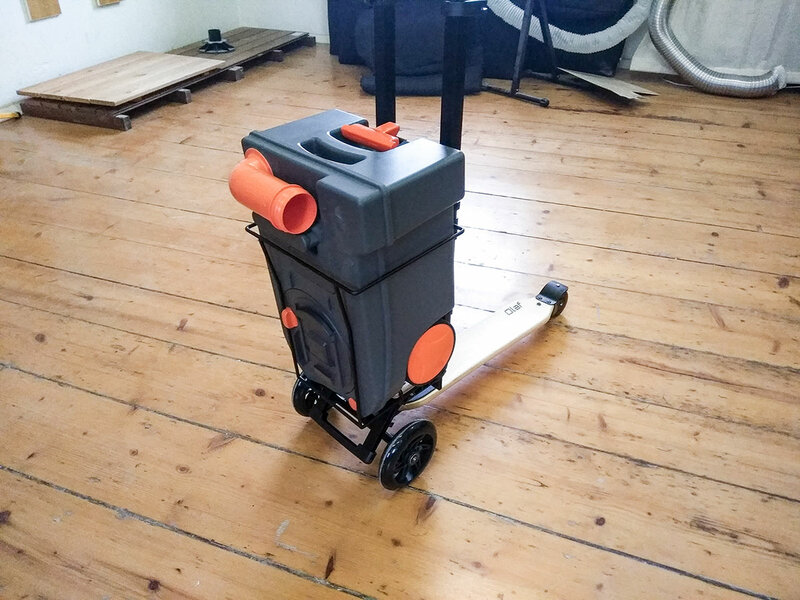 Lots of our effort was focused into eliminating any rattling noise when using Urban on poor surface. Simply because its annoying! Consider it done. All in all, we made Urban chassis much more sturdy and safe to conqueror your city. 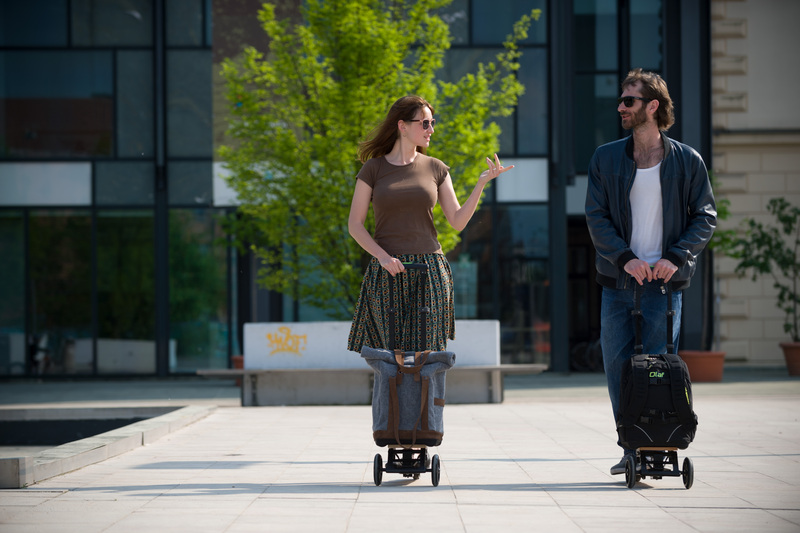 We already proved with our old chassis that Urban carries two adults, one as rider and one as “cargo”. New model is even more of a beast. Concepts is the same, true, but thats more or less all what it is. 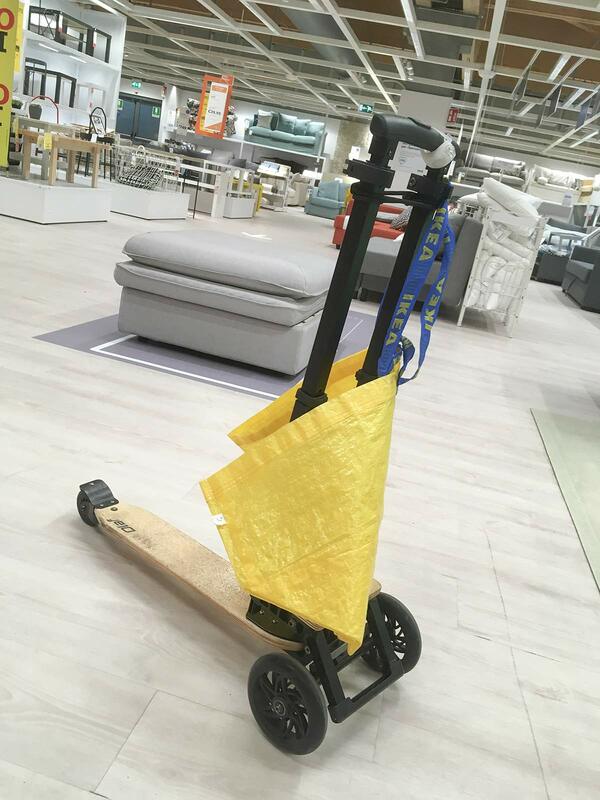 Complete folding system is much stronger since it withstands most severe certification scooter standards out there. 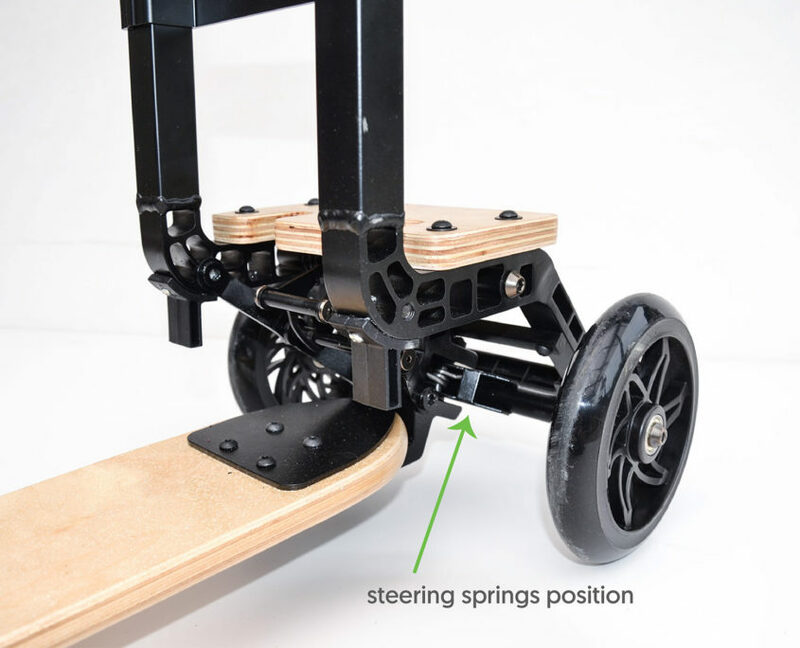 Steering runs much smoother more user friendly through complete range of steering angle. 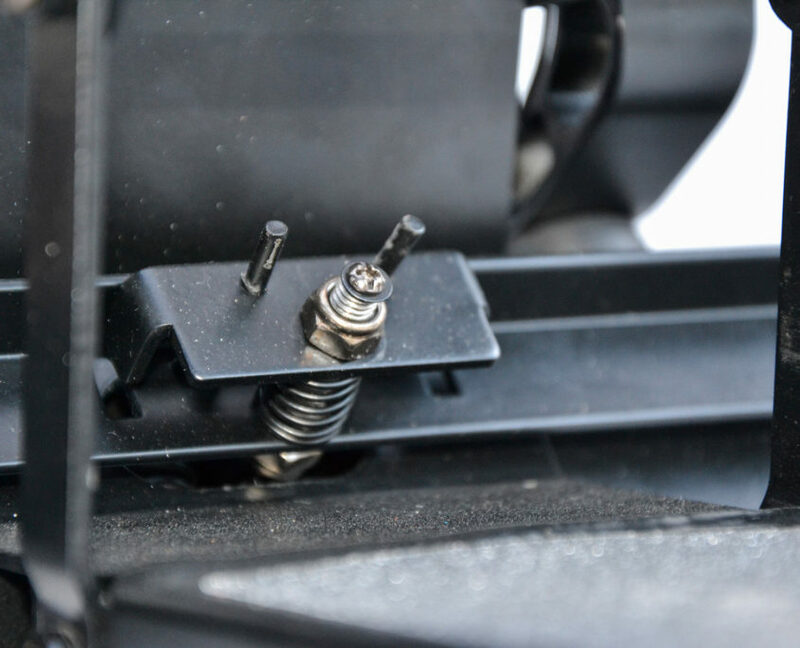 We have redesigned & packed steering springs into main chassis body in order to protect them from any riding accidents. We further improved our patented folding system with doubling the strength and safety of complete folding system by adding steel cross bar. 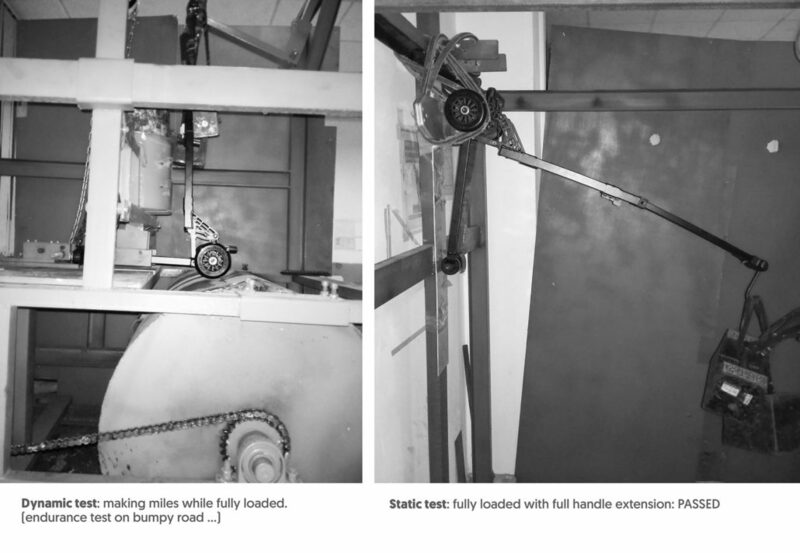 By doing so, we limited the handle movement and gain extreme folding system strenght and consequently handle strength. In order to reduce noise and improve handle height safety, we added extra clamps in addition to our existing knob/pin system. 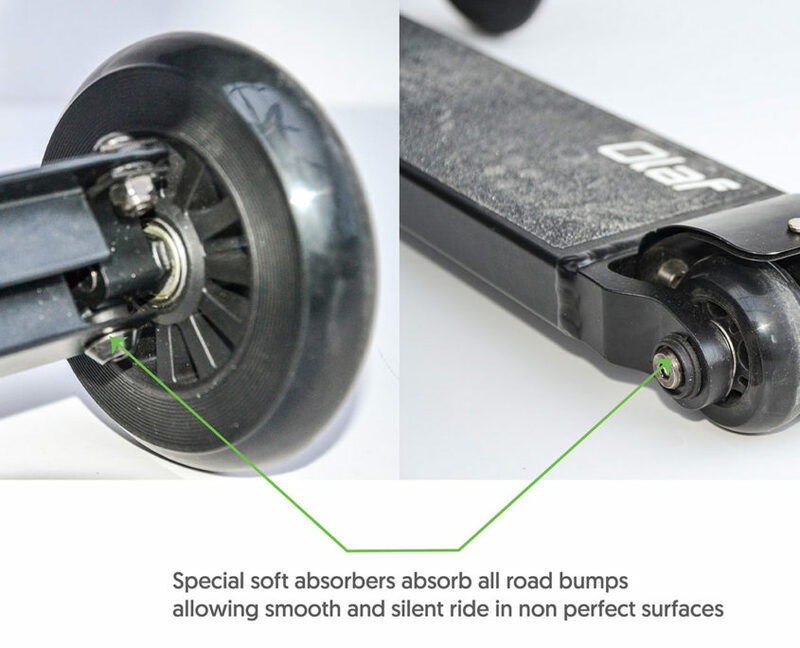 By doing that we additionally reduced noise when used on bumpy surfaces. Size does matter! We changed front wheels from 110 to 145 mm while rear wheel was kept 80 mm. 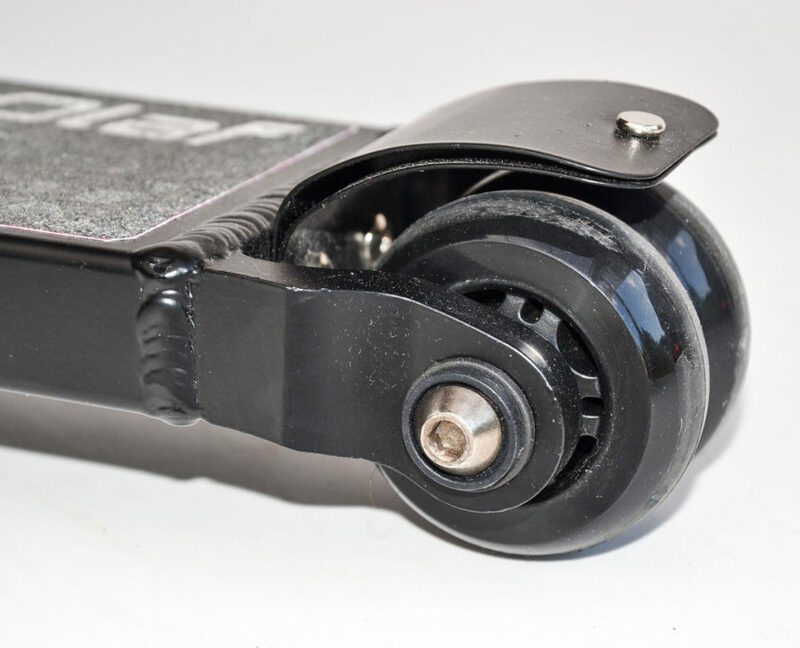 New rear wheel bracket has been designed and rear wheel brake improved – thermal insulation between metal brakes (In heavy braking your shoe will not melt down). In addition, we installed best possible bearings to all wheels. In order, your OLAF stands vertically safe also when fully loaded, we made that trolley stand extremely strong. Now, you do not need worry about tilting. 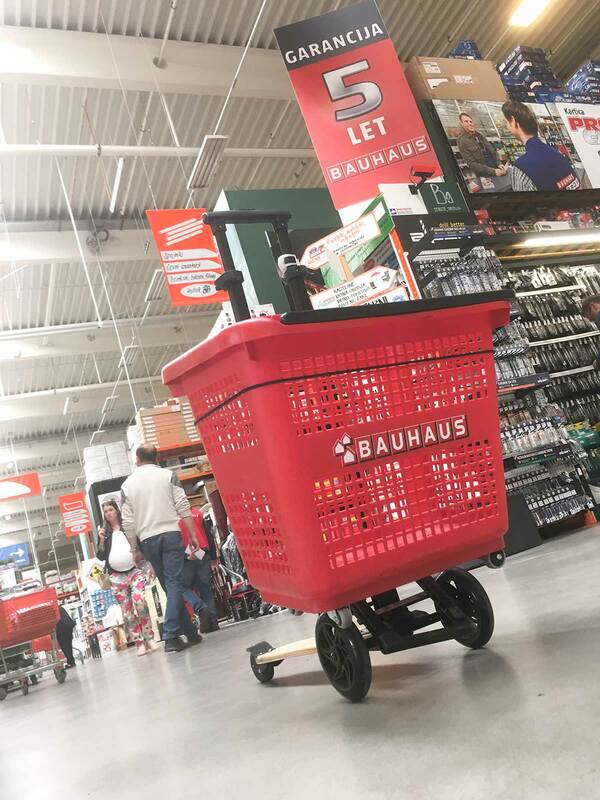 Side movement of trolley is limited with axis lock out system – when Urban is in trolley mode, axis is locked and trolley functions as true trolley. 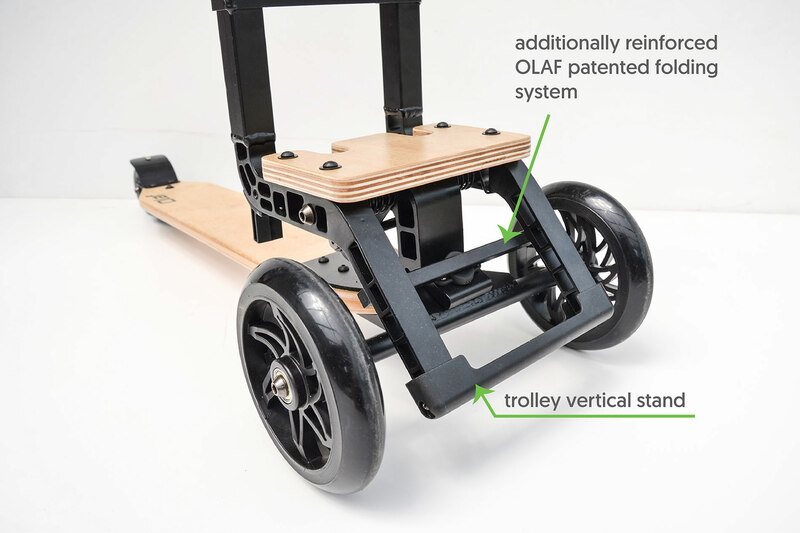 Main improvements lie in backpack attachment system to Urban chassis. 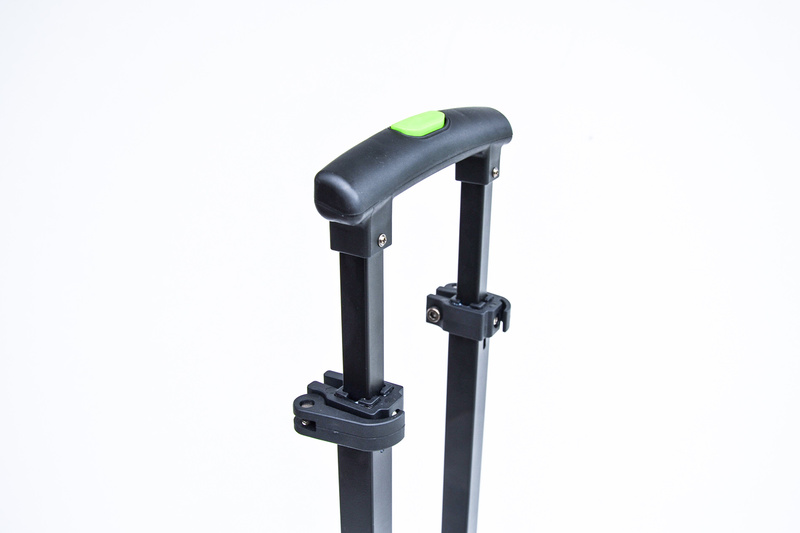 We doubled the attachment straps, modified the buckles for easier access. Your backpack will not detach unless you want to. In addition, we made backpack handle stronger and softer to carry. 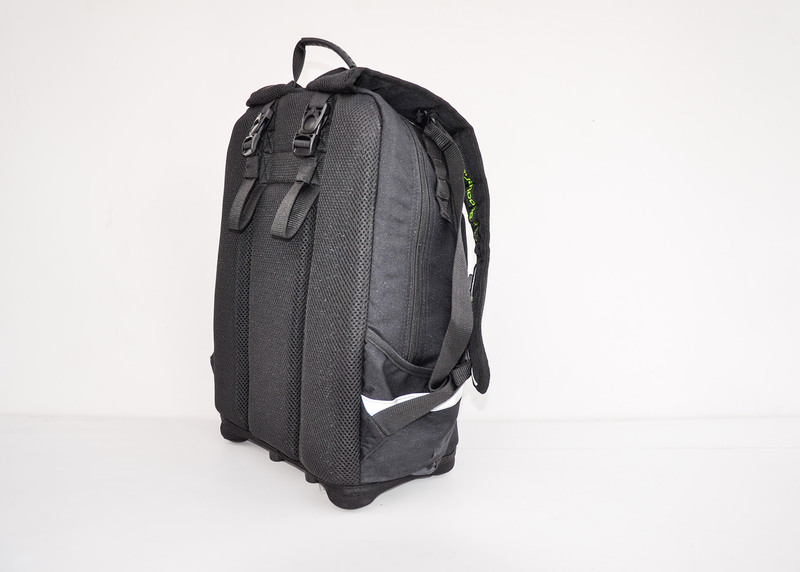 We also modified the backpack back surface (and shoulder straps) using advanced 3D mesh material – this material will allow better airflow thus no wet T shirts spots on your back. We kept the concept that you can completely remove interior plastic reinforcement – in that case you can squeeze & roll your OLAF backpack. 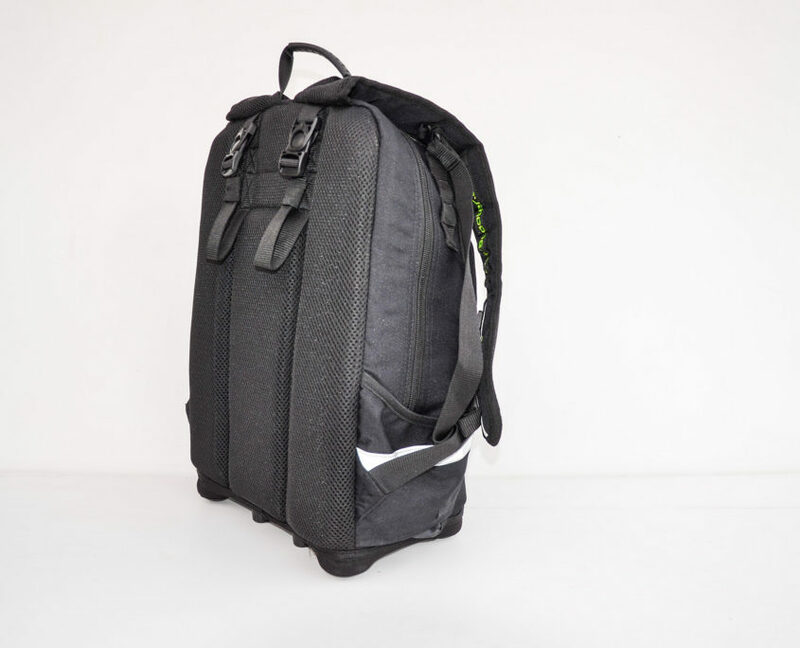 With reinforcement inside, your backpack will stand vertical by itself also when fully packed with no fear for tilting over (especially great for school kids). 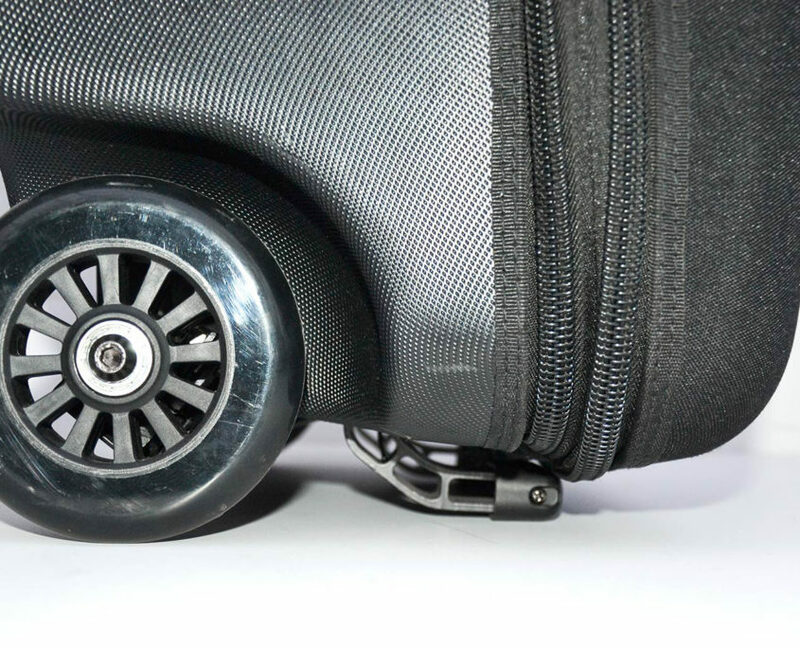 We did not forget about wheel covers when using Urban as backpack. We have spent lots of weeks in past two years in our testing lab testing new improved chassis for static and dynamic loads. These static loads are just one of tests we needed to pass. As already said, although we made new OLAFs best of the best, we were able to bring the price down due to improved processing technologies and bigger production series. We have included shipping costs for EU, US/Canada and most of Asian countries. Production is already in full swing, we start shipping first orders in August. 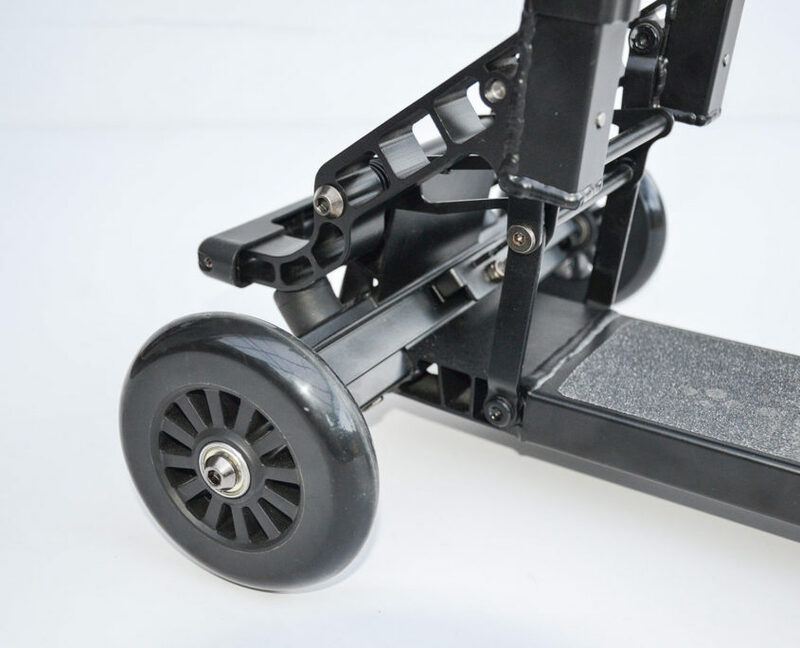 We modified complete chassis structure, invested in lots of new tools and processing technologies in order we can make best luggage scooter chassis possible. And we did it.Although all main chassis component stayed in aluminum, we have chosen aircraft aluminum alloy quality this time. Lots of our effort was focused into eliminating any rattling noise when using Business on poor surface. Simply because its annoying! 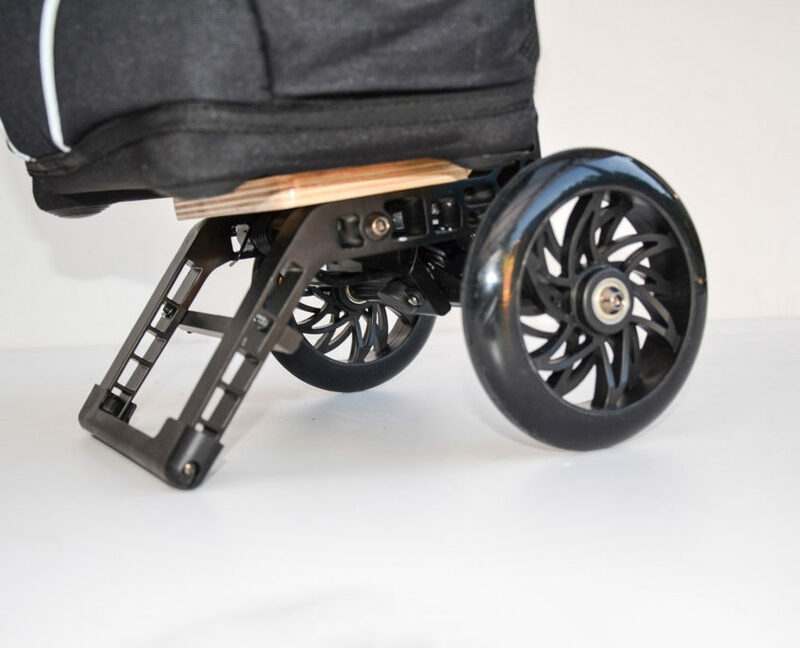 So, we integrated shock absorbers between all wheels and chassis. Done! 3. Adjustable steering spring feedback! 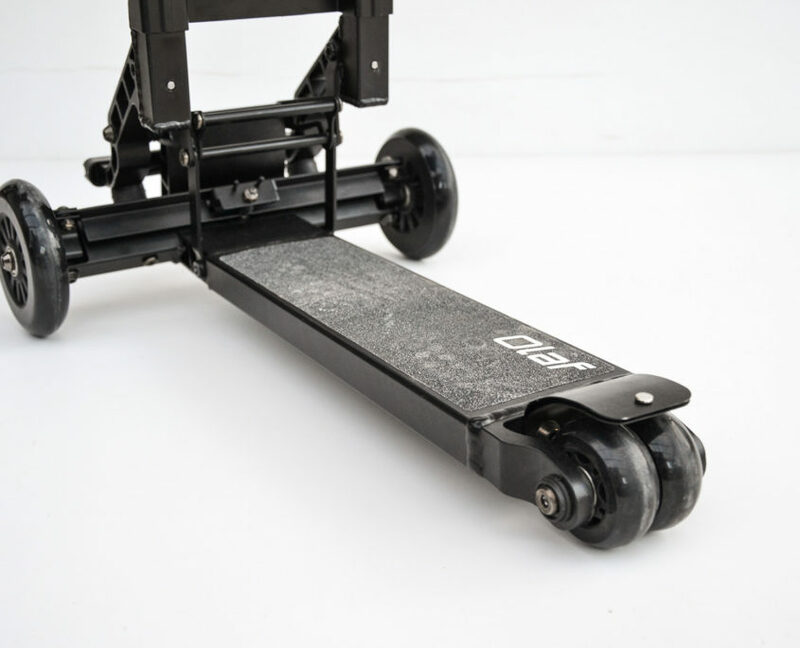 If you weight 50 or 150 kg, if you like your OLAF to be agile (soft spring feedback) in making corners or you prefer more elegant and smooth steering (hard spring feedback). 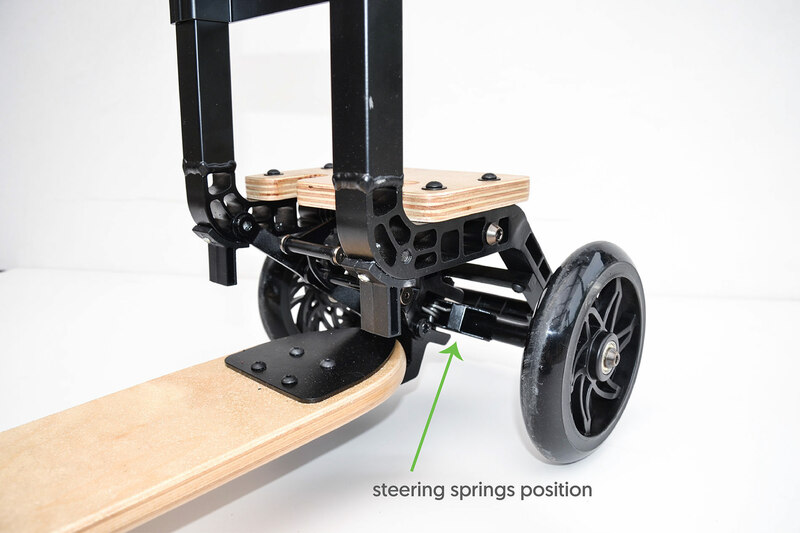 Now you can adjust your steering feedback in limitless steps; needed tool will be added – see user manual for more info (by default we will position springs in soft spring feedback). Antiskid surface: complete top board surface is covered with antiskid tape for your safety. We modify everything not working best in previous models…and keep same what is working best; folding concept is something we remain almost the same. 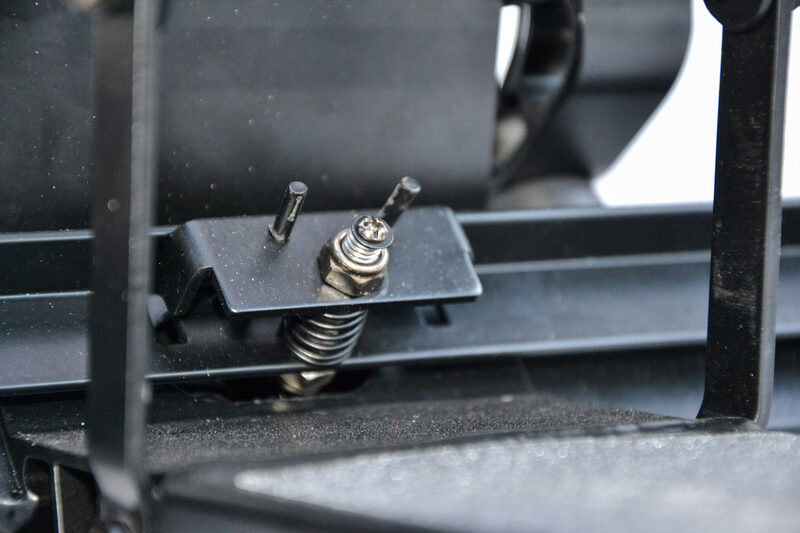 In addition to limitless adjustment of steering feedback, we modify steering springs to operate in linear motion through complete steering range. We mean serious when we say we went into every detail. 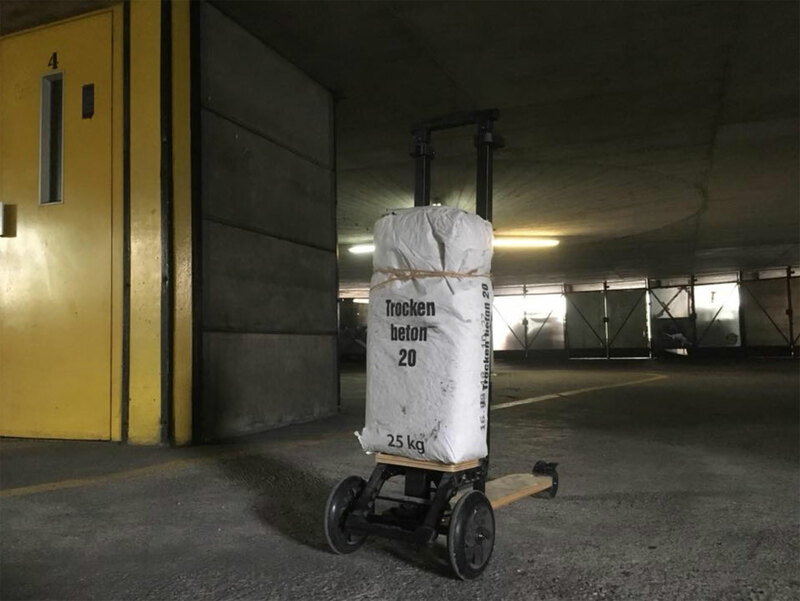 We further improved our patented folding system with doubling the strength and safety of complete folding system by adding additional supports. By doing so, we limited the handle free movement and gain extreme folding system strength. 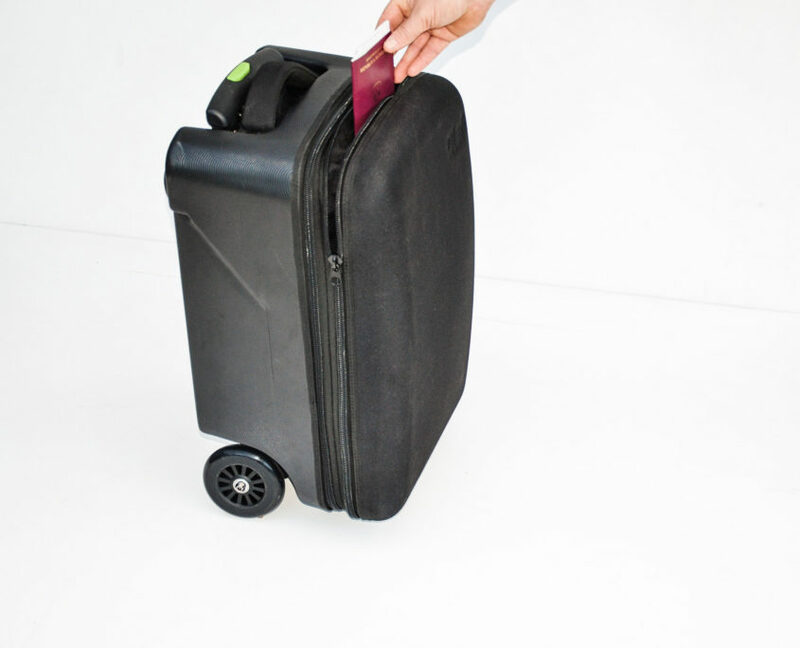 When folding Olaf board, we added additional safety lock – although OLAF is a carry-on luggage approved, sometimes its separated from you and goes through standard luggage drop off. In such cases, we advise using this additional lock. 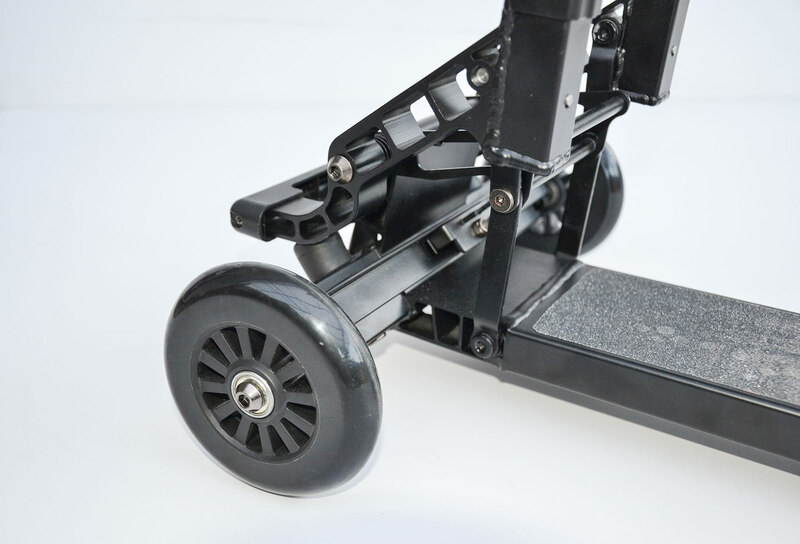 We are keeping front wheels in 110 mm and rear wheels in 55 mm. 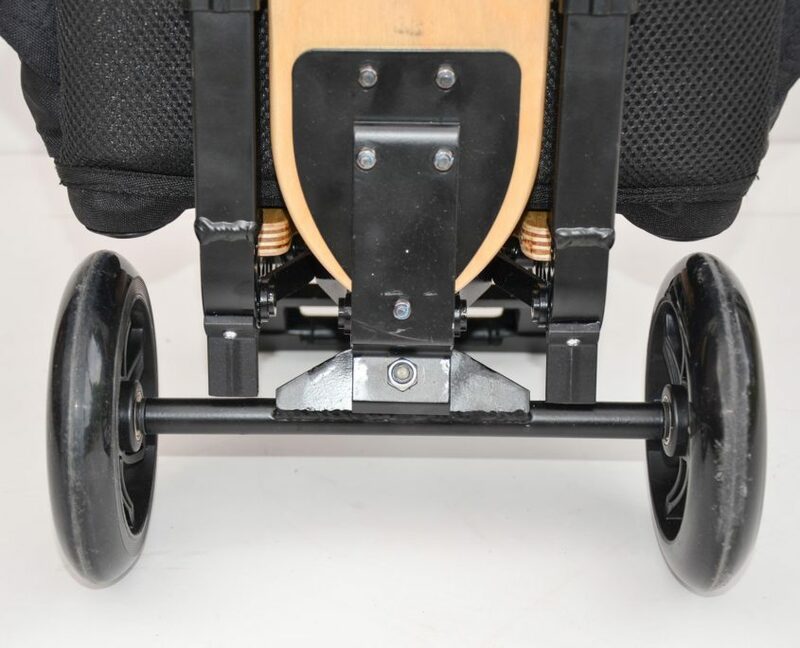 New rear wheel bracket has been designed and rear wheel brake improved – thermal insulation between metal brakes (In heavy braking your shoe will not melt down). In addition, we installed best possible bearings to all wheels. We went for all black now – as many of you wanted. Our case dimensions is limited via carry-on size limitations. However, in same case, we are not limited with this and we can expand case in order to pack for that extra day off. 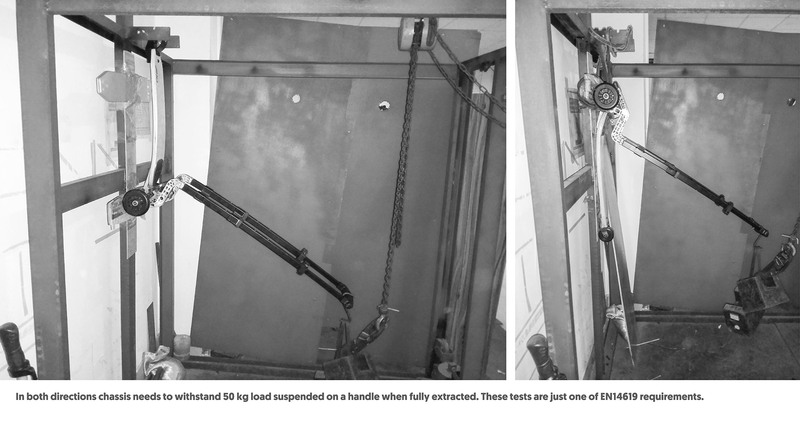 We have spent lots of weeks in past two years in our testing lab testing new improved chassis for static and dynamic loads. As already said, although we made new OLAFs best of the best, we were able to bring the price down due to improved processing tehnologies and bigger production series. In addition, we have included shipping costs for EU (also tax for EU), US/Canada and most of Asian countries into basic price. We don’t send emails very often. We only post news when there is news. Like now when we want to talk about our latest improvements. None of which would happen if it wasn’t for you, our dear OLAF fans. Read through or skip to the last paragraph if you want to learn about our shipping updates. We’re not only better, we also ship faster! Hooray! I HAVE BEEN LOOKING FOR a suitable vehicle for commuting in Paris for quite some time when I came across the Olaf. 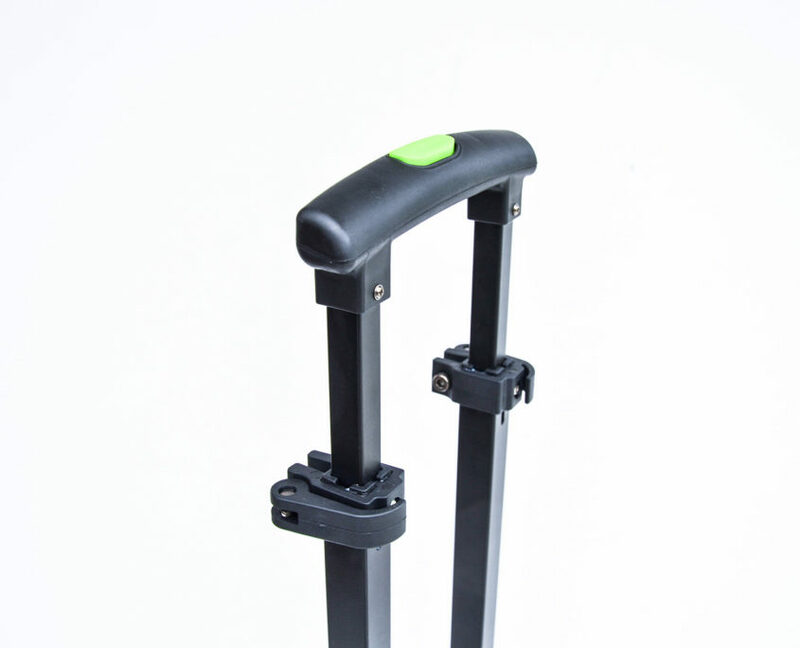 The ability to take it onto the metro and use it to shorten the famous “last mile” sold me on the idea and the last few months of using the scooter did not disappoint. We are using local harvested beech 1 mm (0,04 inch) thick veneer. All sheets are covered with special water resistant glue and stacking is based on our home recipe. All 15 layers are pressed with hydraulic press. In order to speed up the gluing process we heat up the glue via creating heat in aluminum sheets that cover tooling. Those blanks are heated via microwaves with similar process as in your home microwave oven. Tool opening and cooling the board down follow.